It was going to be a good day. Shoga knew that a long time ago, of course, this was the day he would become a genin. Shoga had worked for two years for this day, to finally graduate the academy and become a full fledged shinobi for the Hidden Leaf Village. This wasn't a big deal for most of his family. On average, there was a person from his family who graduated once every three years or so. His father was the only one of his siblings not to become a shinobi, and all of their children had already grown and become shinobi themselves. 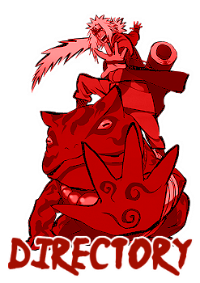 However it was different for Shoga, he was the oldest of his siblings and the first one to become a genin. While his father was not especially happy about his choice for his future, he knew his father would be proud. Shoga's four little brothers and two little sisters were all jumping around and being bothersome, as usual. Of all seven of the siblings, Shoga had been the first to graduate the academy, which made sense considering he was the oldest and first one to enter. Even though Shoga found his siblings annoying and portrayed himself as annoyed on the outside, on the inside his heart smiled at his younger siblings, and he greatly anticipated when they would graduate. After a few minutes of his siblings jumping over him and asking persistent questions Shoga finally managed to escape his household and go to the academy. The academy was a safe place for Shoga, he was free of the responsibilities of family and he had plenty of friends there. Shoga wasn't big on paying attention in class, but always got good grades by studying outside of the Academy. Shoga was ready for all his work to pay off, he was ready to become a genin with all of his friends who had endured the academy with him. Most of his time at the Academy consisted of Shoga playing Shogi with other students, usually beating them and hustling their money from them. His father was a game shop keeper, and an avid shogi player, so much so that he named his first born child after the game. While Shoga found it annoying that he was named after a board game at first, he eventually began to accept it, then he started to embrace it. After all, no one could make fun of his name if he wasn't ashamed of it. His family eventually all showed up to the Academy, along with his father and grandfather. Shoga's father was very polite. Although Shoga knew he wasn't happy, he knew his father was proud of him. His grandfather on the other hand was very excited for Shoga, he had been anticipating this moment since Shoga's father had been born after all. On the left to his father his siblings were jumping in anticipation, being restless and rambunctious, completely immature behavior. Shoga could feel his blood pressure rising, wishing his siblings could act normal for a little while, after all this day was about him, not them. Shoga counted to ten in his head five times before calming down. There was no way anyone or anything could ruin this day for him. After a long amount of speeches and ceremonies he was finally released to his family with his brand new leaf headband and a new sense of accomplishment. Shoga was finally a shinobi. While his family went home with him to have a celebratory meal for him, Shoga's mind was else where, making endless maps of possibilities for the future. 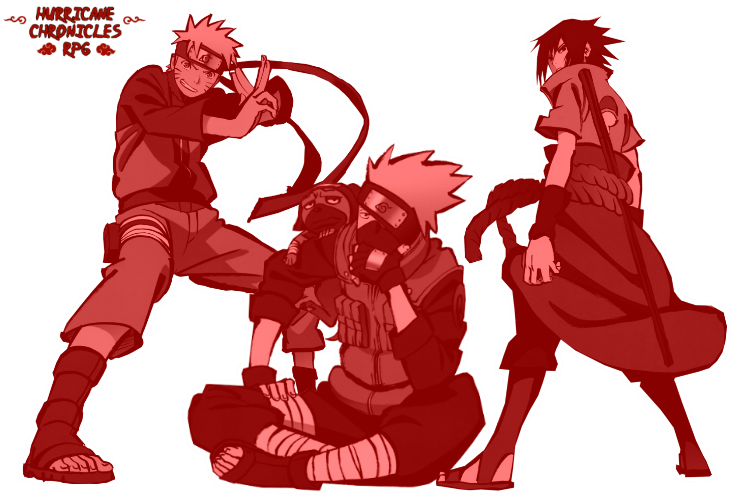 He kept on imagining himself as a jounin squad leader, or even someday Hokage, as absurd as that sounds. Even though his entire family had been shinobi, only his grandfather had ever reached the rank of shinobi, the majority of his family had been chuunin or genin their entire lives, never amounting to much glory on the battlefield. Suddenly Shoga snapped back from thought as his youngest sister was trying to steal a roll of sushi from his plate. Shoga snapped at her with his chopsticks and finished eating the raw fish. Sushi was Shoga's favorite food, but it wasn't a regular thing to eat at his household. Sushi was very expensive, especially for such a large family like his. This was the reason Shoga always chose sushi to eat whenever he got to choose the family dinner. He always got the same thing; Avocado, Cream Cheese, Crab, and Soy dipping sauce. Whenever Shoga had spare allowance he would go to the local sushi bar and get as many rolls as he could buy. A few times he played shogi with the owners, who enjoyed Shoga's company a lot. While Shoga had many friends, he didn't really like to play with them very much, they were much to rambunctious and dirty, always playing in the mud and "playing ninja", who played ninja? It was a much more productive way to spend your time by playing shogi or something that challenged your mind, that's what really got you far in ranks. That's why he spent most of his time training his mind instead of his body. Whenever he spared at the academy he would use the environment around him as much as possible to gain an advantage. Usually it worked, but when it didn't he was usually in trouble, his sparing partner would beat him silly. Children are childish, I should play with adults then I'll be more mature, that was always Shoga's though process. Unfortunately it backfired on him, as he had very little physical training as a result of that thought process. Most of that didn't matter anymore, Shoga had promised himself that he would be a great and successful shinobi, just like his grandfather. Now all that was left was for him to meet his team and jonin sensei, which he had a lot of anxiety about. Shoga would push through that though, his first adventure was about to begin, nothing could stop him now!